Thinkinside network is constantly growing. We hold a relevant number of partners and customers worldwide. We are present in Italy, Germany, Portugal, Ireland, Canada and USA. 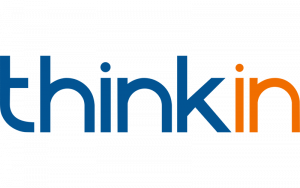 5+ years of partnership during which Thinkinside turned to be Quuppa’s oldest Value Added Reseller, with more than 40 deployments. Thinkinside converts Quuppa’s “dot on the map” into advanced location intelligence for grocery stores and industrial plants. Gatekeeper Systems has engineered a set of products to address loss prevention and operations management in the retail market. Thinkinside and Gatekeeper have teamed up to provide the best-in-class analytics and loss prevention solutions for grocery stores. Together since 2017 Industry 4.0 Accelerator Program, H-FARM is now an investor and a key partner of Thinkinside. Thinkinside and H-FARM are working together in shaping the future of retail and smart manufacturing. Shopping carts and baskets provider with a careful eye on technology and digitalisation of supermarkets. Bertoldi Aldo partnered with Thinkinside to make the shopping cart smart and measurable thanks to RetailerIN technology. Binary version is a company with more than 5 years in the Portuguese market, focused on advanced IT and consulting solutions. Binaryversion and Thinkinside have partnered to bring innovative retail analytics and services into the Portuguese market. Thinkinside location intelligence platform has been integrated with Pyramid kiosks to revolutionise Quick Service Restaurants by precisely locating the position of orders in restaurants and improving the service and customer experience.